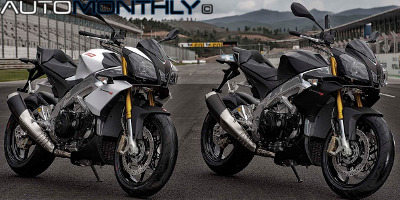 2014 Aprilia Tuono V4 R ABS looks good. Considered to be one of the most fun and exciting naked motorcycles in the world, Aprilia decided improve the magic formula a little bit more. The new Tuono V4 R ABS features several improvements also found on the top of the range RSV4 Factory ABS and RSV4 R ABS. 2013 Aprilia RSV4 Factory ABS. R version looks matte but no specs yet. For the 2013 model of the RSV4, Aprilia made several changes in the hardware department to create this version. There is now a three-level dual-channel ABS system from Bosch that can be completely disengaged that works with the new Brembo M430/M50 calipers. Same as those in the Ducati 1199 Panigale R.